I know I’ve already written one of these, but so much has happened in both Emma’s journey and mine since I wrote my first letter to her that I needed to write something new. This is also felt like the right way to say goodbye to a character who has meant so much to me. If you’re interested in writing a letter like this one to a female character who’s inspired you, this post has all the details about The Fan Mail Project! 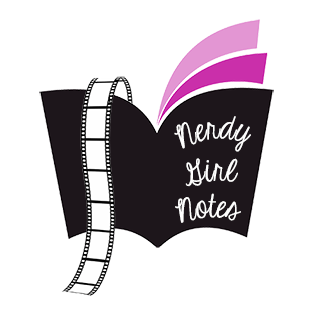 And if you’ve already written a letter to Emma (or any other character) but want to change any part of it, you can always send me an edited version at nerdygirlnotes@gmail.com! This might be the last thing I ever write about you. I’ve written thousands of words about you over some of the most tumultuous years of my 20s, and as I approach this last post, I keep thinking about what could possibly sum up the journey we’ve been on together for more than half a decade. When I started writing about your story, my entire life changed. I wrote things that reflected parts of myself I never imagined showing to the world. As I wrote about your discovery that there is bravery in vulnerability, I became a more vulnerable writer because I wanted to be brave like you. As I wrote about your story, I began to write my own story. I found myself as I wrote about you finding yourself. Needless to say, it’s a little intimidating to think of how I can put all that into a proper tribute. But because you taught me that opening your heart is the most heroic thing you can do, I’m going to try. You made me cry. Normally, this would not be much of a surprise to anyone, but even my intensely emotional self can usually keep it together during action scenes in summer blockbusters. But there you were, battling ghosts, guns blazing, and I couldn’t help it. I thought of the millions of little girls who would watch that scene in the coming days, weeks, and years, and I felt so overwhelmingly grateful for the fact that they will grow up in a world where women like you get to save the day. A group of girls will grow up with that image—four female friends fighting ghosts without any help from a man and without ever having their looks become the focus instead of their skills—being their introduction to action movies. They’ll grow up with that image stuck in their minds and written onto the fabric of their fangirl hearts, and that’s a kind of power that not even the strongest proton pack can produce. That’s why all the talk about the four of you “ruining” people’s childhoods was such garbage. You can’t ruin a childhood that already happened. But you can help create a brighter childhood for a new generation of young girls. And that is exactly what you’ve done. Your purpose isn’t to create nostalgia for the past; it’s to create inspiration for the future. The world you inhabit is a world where women fighting ghosts isn’t seen as a big deal. And that matters. (It’s also sadly far away from the world we actually inhabit.) If they only paid attention to the movie, young girls watching Ghostbusters might not ever think that there’s something atypical about you being heroes, and that’s how it should be. You’re treated as people and not as paragons of feminism or stereotypes of “strong female characters,” and it’s so important for girls to see a world where women aren’t defined by their gender or limited by it. You’re ghostbusters who just happen to be women, and that kind of normalcy in terms of the treatment of female heroes is so rare, which makes it so important. That doesn’t mean, though, that you aren’t examples of how to overcome common problems women face throughout their lives. So much of your collective story is based on the fact that no one will take you seriously when you talk about what you believe and what you’ve seen. Even when you have proof, what you say makes people uncomfortable, so you’re belittled and ridiculed and painted as delusional. People try to silence you, but you stand your ground. Thank you for being an example of what it means to own your truth in a world that is often uncomfortable with women speaking out about what they know, what they believe, and what they’ve experienced. In honor of today’s deadline for submissions for The Fan Mail Project, I wanted to share my latest letter for this project with all of you! I’ve written a lot of letters for this project. I’ve written to characters who shaped my past and to characters who are helping me be my best self in the present. But you represent the future. So, while I have certainly discovered things about you while watching The Force Awakens that have inspired me personally, I’m not writing this letter for me. I’m writing this letter for the little girls I saw in the movie theater around me all four times I saw The Force Awakens. I’m writing this for the girls too young to write you a letter of their own. I’m writing this for the girls too young to even write at all. And I’m writing this for the girls who aren’t even born yet but will someday be introduced to your story the way I was introduced to the original Star Wars trilogy as a child of only five or six. When I was a little girl, I used to play Star Wars with my cousins on the playground near my grandparents’ house. While I always had fun pretending to be Princess Leia, so many of our games involved the boys “rescuing” me from the jungle gym that we imagined was the Death Star. There were times—even when pretending to be one of the strongest women in sci-fi—that I felt like I was just playing a small part in their imaginary adventures. When I saw The Force Awakens for the first time, my initial reaction was to think of the little girl who would one day be playing this version of Star Wars on a playground with her cousins. And I was overwhelmed with gratitude on behalf of that little girl—whoever she may be. Because when that little girl pretends to be you, she’ll be the hero of her own story, and it’ll be the boys who are part of her adventures—not the other way around. That little girl will pretend she’s flying the Millennium Falcon. She’ll pretend she’s breaking out of her holding cell on her own. She’ll pretend to hold a lightsaber and use the Force. And none of those imaginary adventures will seem crazy to her, because she’ll have seen you do all those things. And when you see someone like you doing amazing things—no matter if it’s real or fictional—you begin to believe that you, too, can do amazing things. This is the latest in my collection of letters to female characters who’ve inspired me throughout my life as a fangirl. If you have a character you’d like to write a letter to, click here for details about The Fan Mail Project—you have two weeks left to get your letters written! I’ve tried to start this letter no less than 10 times in 10 different ways. In fact, I’m sitting right now with tear tracks on my face because I’ve been trying to come up with the perfect way to start this letter for the last hour, and nothing’s felt right. I want this letter to be perfect because you mean so much to me. I want it to be the best letter I write for this project that was inspired in no small way by the impact you’ve had on my life. But the start of this letter doesn’t have to be perfect—none of it has to be perfect. Because the biggest lesson you’ve taught me is that it’s okay to be imperfect; it’s okay to struggle, and it’s okay to admit that you’re struggling. Your story taught me to take the parts of myself that I see as weaknesses and make them strengths, to acknowledge that my imperfections and flaws are a part of me, and to use that acknowledgement to grow into a better and stronger version of myself. So if this tribute is flawed, that doesn’t mean it’s without value. You taught me that, and that lesson changed my life. We’ve been on a long journey together, Beckett. I’ve watched Castle since the pilot episode, and I’ve admired your character just as long. From the start, I loved your confidence and competence, your inability to suffer fools, your hair, and your coat collection. You were the reason I bought my first pair of stilettos and my first trench coat. It was your picture I brought to the salon when I decided to get red highlights in my hair. And, thanks to you, I hardly ever go to Starbucks without ordering a skinny vanilla latte. But something changed during Season Four of Castle. Your story became the story. You’d always been a hero, but the narrative was suddenly laser-focused on you becoming your own hero. And that story helped me reclaim my story. It helped me see myself as a protagonist and not just a supporting player in other people’s stories. In becoming your own hero, you taught me how to become my own hero. This is the latest in my collection of letters to female characters who’ve inspired me throughout my life as a fangirl. If you have a character you’d like to write a letter to, click here for details about The Fan Mail Project! You stand out. Young Adult fiction is an ever-expanding genre, and many series have been created over the last handful of years about a brave girl who fights a corrupt government—and has to choose between two very different but very attractive male suitors as she does so. Even in stories that are about things other than fallen societies and uprisings, there seems to be a trend in many Young Adult novels: The girl stands alone. Yes, there might be female family members who are important to the main heroine or one close female friend or mentor. However, the central female character is often a loner or a girl who’s much closer to the young men around her than other young women. Thank you for being part of a different kind of story. I spent the summer I turned 26 reading nothing but Young Adult books in an attempt to prove that this genre isn’t something to put down, but is instead filled with beautiful works of literature to be cherished by readers of all genders and generations. That’s when I discovered The Selection, The Elite, and The One. More than any other books I read that summer, those stayed with me, and it was because of you, the women of this world. Yes, this series had sweeping romance, action, and sociopolitical commentary. But it also had something I’d never seen before in a Young Adult series: a plethora of female characters who are incredibly different but come to support, forgive, protect, and genuinely love each other. So often women are taught to compare themselves to other women and to see themselves as competition—especially competition for male attention and affection. And, at first, that’s the world many of you were thrust into—selected to compete for the hand and heart of Prince Maxon. You were expected to see each other as enemies, to immediately judge each other and judge yourselves in comparison to each other, and to put each other down in an attempt to build yourselves up. And some of you (I’m looking at you, Celeste.) did exactly that for far too long. But some of you immediately chose to defy expectations and become friends. Thank you, America and Marlee, for showing everyone who picks up these books that—even when put in an environment that is created to pit women against each other—friendships can blossom. You never had ulterior motives with each other or gossiped behind each other’s backs. Instead, the two of you represent the best of what female friendship can be: warm, supportive, and life-changing. America, your desperate attempt to save Marlee from being beaten was one of the most moving moments in the entire series. It was a testament to the things women will do to help one another and protect one another. And it was beautiful to see in The Heir that yours became a lifelong friendship, the kind so many women find but so few pieces of media celebrate. This is the latest in my collection of letters to female characters who’ve inspired me throughout my life as a fangirl. If you have a character you’d like to write a letter to, click here for details on the book of letters I’m compiling! No, I didn’t want to be a CIA agent. But I did want to be you. I wanted to be you so badly that apparently my friends thought I wanted to follow your career path, too. But your career path was probably the only thing about you I never tried to emulate. (I think I made up for that by choosing to major in English in college like you did.) I was the only teenager I knew who owned not just one but two black pantsuits, which I often wore with turtlenecks. I wore my hair in a lot of low, sleek ponytails while I was in high school (and I continue to do so today). And I don’t think my love for coffee ice cream developed by coincidence. High school is often the time when we desperately search for role models, for people to help us develop into the best adults we can be. I was lucky: I had inspiring teachers, I had great family members, and I had you. When other kids in my class dressed up as Lindsay Lohan for “Celebrity Dress-Up Day” during Spirit Week, I dressed up as you—not Jennifer Garner, but Sydney Britsow, complete with one of my aforementioned pantsuits. I got more than a few strange looks and there was even some snickering behind my back that day, but I didn’t care. I walked through the halls confidently—with my homemade CIA badge proudly displayed—because I was channeling you, and you walked with confidence and poise through things much worse than rooms full of judgmental teenagers. Thank you, for helping me to learn to walk with that same confidence and poise even when I wasn’t wearing a pantsuit or homemade badge. You were a part of my life during some of my most formative years. Alias premiered when I was in eighth grade, and it ended just weeks before my high school graduation. During that time, my love for your story introduced me to fan videos and the concept of spoilers (which I gobbled up like candy). It inspired me to create notebooks full of collages with pictures from my favorite episodes and folders full of (pretty terrible) fan fiction. It brought me to the SD-1 forums, where I learned the many ways fandom can connect people from all over the world and can help us all feel a little less alone. Alias was the first TV fandom I was ever a part of, so—while I might not have followed your path to the CIA—you did end up influencing my future in a very real way. And I will forever be grateful for that. I might be biased, but I don’t think you get enough credit, Sydney. You were so much more than just a superspy with amazing fighting skills (which is what most people say about you when you’re remembered); you were a female character who embodied the idea that strength and vulnerability aren’t mutually exclusive concepts long before it became more common in the media. And watching you show that to the world had a profound impact on me as a teenager and continues to have a profound impact on me today. Fangirl Thursday: We Can Do It! I’ve received letters to characters as varied as Scarlett O’Hara, Cristina Yang, Claire Underwood, and Hermione Granger. These letters are already painting such an amazing portrait of why female representation in the media matters—because, for as diverse as the characters have been, the people who’ve written letters to me so far are even more diverse. It’s been a true pleasure to read your stories, and it’s a true honor to be trusted with sharing this part of you with the world in a way that will make you proud to be involved with this project. If you’re looking for inspiration, maybe that list can help you get started, but that’s by no means a comprehensive list of characters worth writing about. Choose a character whose story moves you to write—which character do you think of when you need confidence, or when you feel lonely, or when you want to believe things are going to turn out okay? Which character has been a part of your life for so long that you don’t know who you are independent of their influence? Which character helped you navigate the rough waters of high school, or college, or parenthood? That’s who you should write to. And take it from someone who knows—the letter you’re most proud of might be one you never planned to write.